If you’re planning a holiday to Croatia, but not sure how long to go for and where to go when you’re there – welcome to the Itineraries section! Here, we’ll try and help you plan your holiday, whether you want to visit the country for a long weekend or for three or more weeks. A short break/long weekend in Croatia is certainly possible (hey, it’s only a 2 hour flight from the UK), though it’s often overlooked as a long weekend destination. Many people spend a week’s holiday in Croatia – here we given you some vacation ideas and possible itineraries. If you’re after a whistle stop tour of Croatia in ten days, taking n some of the most famous towns, cities, islands and sights, this is the itinerary for you! A fortnight means you could split your holiday in half – either by destination or by activity! Why not spend half lazing by the sea and ther other half travelling around? 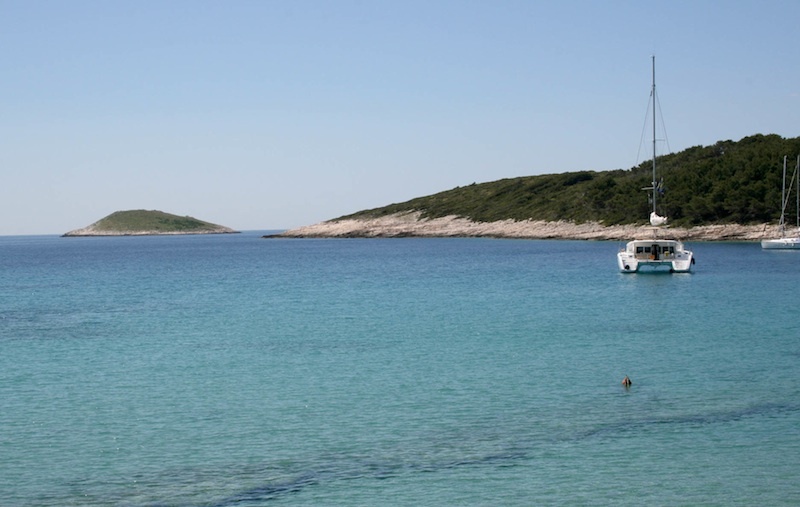 Palmizana near Hvar – you could be here! Three weeks in the country is wonderful, if you have the time! You can have a flexible holiday, travelling around and spending as much (or as little) time in each place as you fancy. Find out what time of year it’s best to go to Croatia – for you! Stuck for where to head to in Croatia? Read our tips for deciding. Our pick of the best places to visit in Croatia. We ran a poll to discover what our readers thought was the best destination in Croatia. And, what was it? Find out here!